Glass channel balustrade system with a distinctive ´F´ shape design, allowing for top mounting directly up to or even beyond the edge of a balcony floor. Perfect for balconies, decking, landings, walkways and inclines. 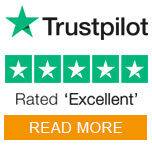 Providing you with a stable and secure glass barrier, that maximises transparency for a stunning view every time. Using the Adjustable Safety Wedge Kit you can fine-tune the positioning of each glass panel from the inner side of the balustrade. Manufactured from aluminium with an anodised stainless steel effect finish, ideal for both interior and exterior use. 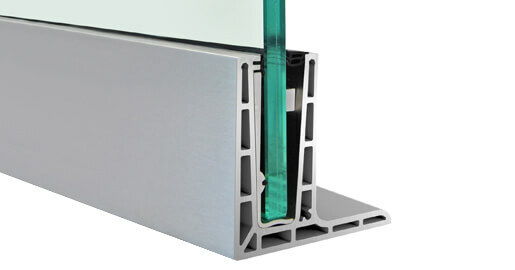 Will accept mono and laminated glass thickness of 12mm - 21.52mm. Pre-fabricated corner components and accessories available for the most complex of layouts. Quick to install and cost effective with just five anchor points per metre, fixing options of anchor bolts for mounting onto masonry, concrete or heavy duty screws for timber mounting*. You can choose to finish your glass balustrade with one of our channel handrails or cap rails, available in a variety of materials, shapes and sizes. Can be placed beyond the edge of mounting surface. Fewer anchors required, and no need for countersunk anchors. Glass panels adjustable in every direction by up to 10mm. Connector pins allow for quick and easy alignment of multiple base units. Suitable for mounting onto masonry and timber*. Wide range of channel handrails or cap rails available. Any quoted figures about the performance of these products relate to installing into concrete. 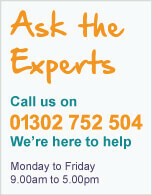 *Please take advice from an engineer or specialist when installing into any other material, such as timber. We can now powder coat Frameless Pro profiles to any given RAL colour of your choice. This a bespoke service, with components being powder coated to order. Top Mount F Shape Frameless Pro Glass Balustrade Installation Advice. 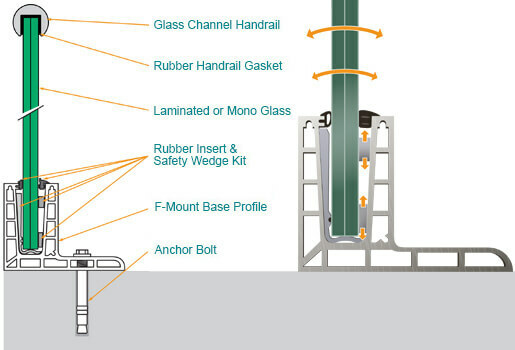 An easy to understand guide to fitting a top mounting glass balustrade with the Frameless Pro glass channel system. Download and print our installation advice sheet for Top Mount 'F' Shape Frameless Pro Glass Balustrade. ´F´ shaped base profiles are joined together using three pin connectors, simply insert pins into your first profile and tap into place with a rubber hammer. You can position and push your next base profile onto the pins.